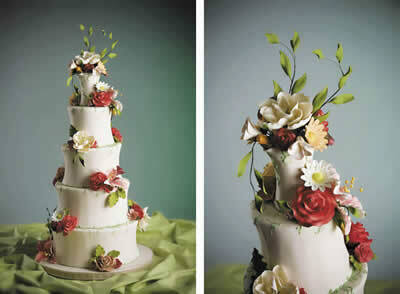 Searching for a wedding cake that summons a taste of the season? Here are four creative ideas for a season-inspired confection. Spring is a time for pretty pastels. Pick your favorite colors and incorporate them in pastel hues for a cake with springtime flair, such as this creation by Andra Hammond of Sweet Perfections. Using the perfect palette of pastels and inspired by the versatility of fondant, Andra added polka dots, ribbons and flower cutouts – all sweetly suiting the season. 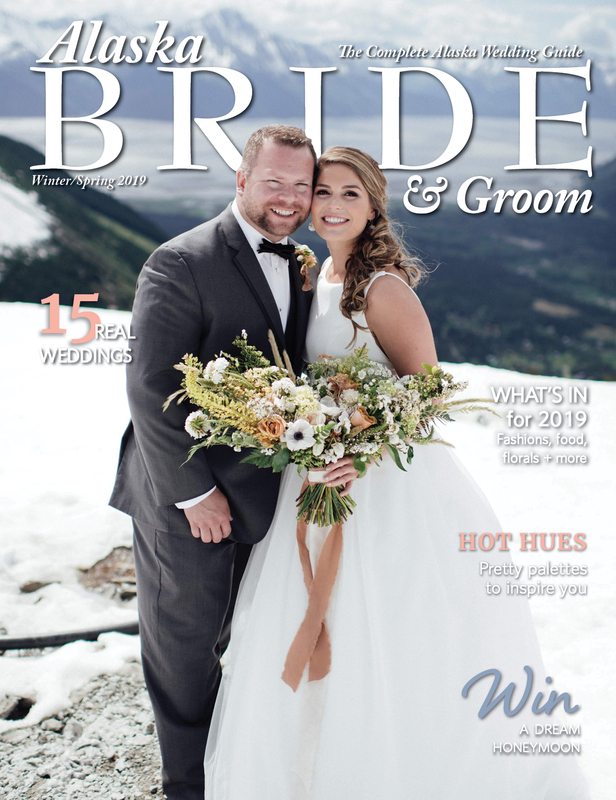 This whimsical blue and silver winter cake is Confectioner’s Studio’s tribute to the holiday wedding. 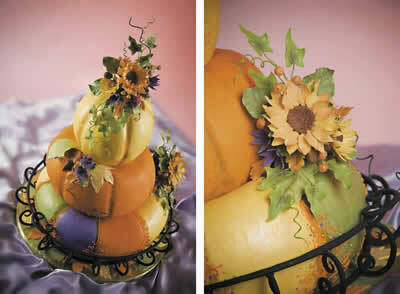 Will McDonald masked each tier with fondant in blue hues that begin dark at the base and grow lighter up the tiers. 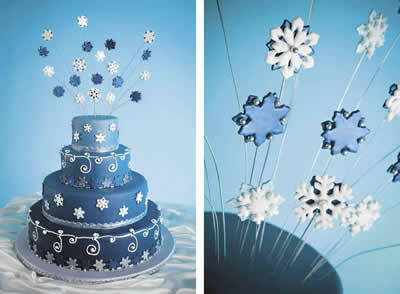 The hand-made and hand-painted snowflakes are a combination of fondant, gum paste and pastillage. 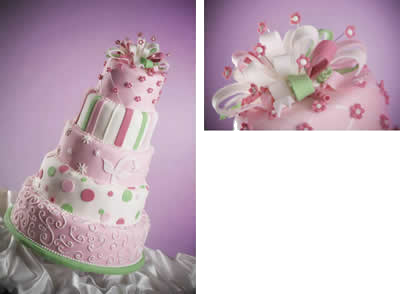 Royal icing piping hand-painted in pearl and additional sugar pearls and silver dragees complete the festive look.